20+ Foodie Gift Ideas — Kitchen Tools, Cookbooks and More! A few years back we put together a list of great foodie gifts to get for the foodies on your list. Today we’ve come back and updated the list in advance of Cyber Monday 2018. Of course, you should be able to order these items any time over the next few weeks to still arrive in time for Christmas. But while ordering online is convenient, I do also encourage you to browse local specialty food shops and bookstores for some of these items or other things to please your foodie family and friends! Disclosure: Amazon affiliate links used throughout the post, which means I would earn a small commission if you make a purchase using the link. If you’ve got someone who loves good food and wine on your holiday shopping list, there are many tasty directions you can go to get them a great gift. You can pick up a special bottle of wine (stay tuned for some suggested gift bottles), gourmet specialty items or perhaps a gift certificate to a favorite restaurant. You might also consider making something yourself. These are all great ideas, but seeing as it is CyberMonday, today I bring to you 20+ Foodie Gift Ideas that can be ordered from your home with just a few clicks. I don’t tend to go for a lot of fancy gadgets in my kitchen, just some good, basic tools. I start my list with some of those tools I rely on nearly every day–throwing in one neat find I came across recently for keeping opened Champagne bubbly overnight. This foodie loves good cookbooks and other good food-related reading material, so that’s the focus on the second have of my list. The post contains affiliate links for the products discussed; as always, I only include links for products that I personally recommend. Copper Chef Pan This pan was given to me as a gift a few years ago, and it has been a big hit. 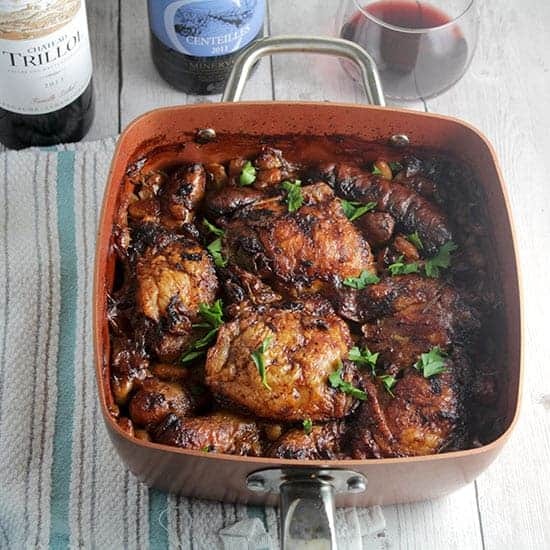 I know often use it in place of a dutch oven for recipes like this Chicken Cassoulet shown above that start on the stove top and get finished in the oven. And it’s easy to clean, another reason to love it! Grab one via this Amazon link. Immersion Blender A lot of my kitchen tools are very basic necessities, this one is more of a “gadget”, but indispensable for soup making in my opinion. I love to puree vegetable soups to give them a nice thickness, often without adding any cream. An immersion blender makes this much easier than trying to transfer the soup over to a food processor. I have one from Williams Sonoma that I like, but there are plenty of good options–you can see many of them via this Amazon link. 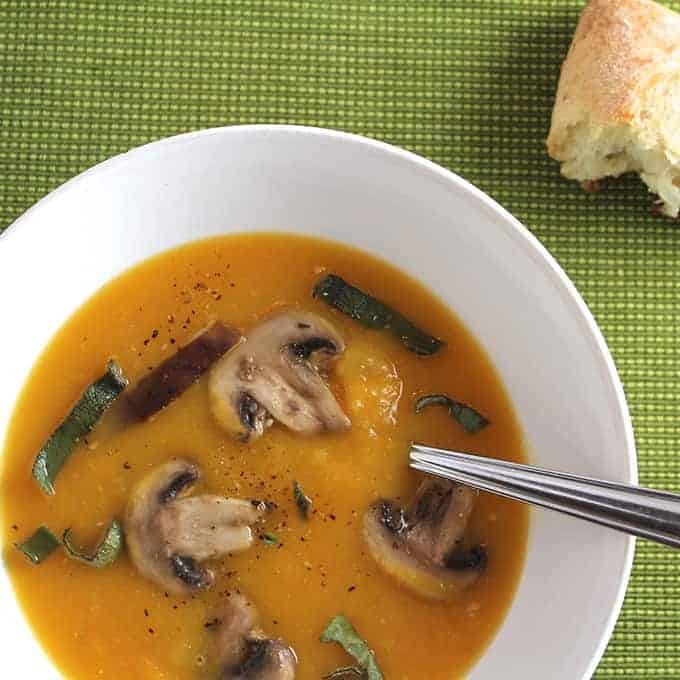 The Butternut Squash with Sautéed Mushrooms and Sage shown below is an example of the elegant soups you can make with the right tools. Cast Iron Skillet So many of my recipes, especially when it’s cold and the grill is covered for the season, entail searing some meat on the stove top, then roasting in the oven. You can also then make a great sauce in the same skillet while the meat rests. You gotta have a cast iron skillet to do this. Need one? The Lodge brand I use can be had via this Amazon link. 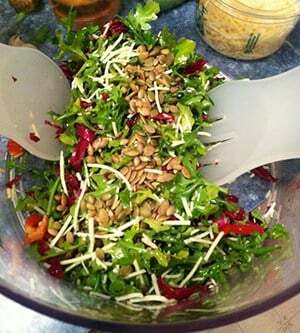 OXO Salad Spinner I make up a lot of tasty salads, and a good salad spinner is so handy. Put those rinsed greens in here, and give it a good spin to help avoid too much excess moisture on the greens. This is also a handy way to bring salad to a potluck or other gathering; as I would well know, as my salads are often requested. Cuisinart Food Processor Definitely one of my most used kitchen appliance–perhaps because I make pesto so often! I recall many years ago (probably 15 or so!) being at the store and considering whether to get the Cuisinart or something that might have cost a few dollars less. I’m glad we went for the Cuisinart, as it’s been a kitchen workhorse for us ever since we bought it. Bamboo Cutting Board A good cutting board is an essential kitchen tool. This links to a set of boards like I use. It’s nice to have at least two available for multi-tasking! Microplane This slim tool is a super way to grate cheese and zest lemons! I love to just buy a good block of Parmigiano to shave over pasta and salads, the Microplane makes it easy. Grab one via this Amazon link. Collards & Kale Cookbook: I’ve got to lead off with my very own cookbook! After months of experimenting with all kinds of healthy greens recipes, I am happy to share Collards & Kale: 20 Recipes That Will Have You Loving Your Greens. In keeping with the Cooking Chat style, each tasty recipe comes with a wine pairing suggestion. Stir: Mixing It Up In The Italian Tradition by Barbara Lynch, Chef-Owner of No. 9 Park and a number of other Boston area restaurants. If I had to pick a favorite, this would be it. Wonderful photos and very clear instructions. I’ve picked up several new techniques from the book–if you like salmon it’s worth the price of the book simply for her Seared Salmon White Beans and Spinach, topped with Olive-Lemon Relish. And my friend John has mastered making gnocchi thanks to Barbara’s tips. The book has a nice mix of fairly easy preparations and fancier stuff. Vegetarian Planet: 350 Big-Flavor Recipes for Out-Of-This-World Food Every Day by Didi Emmons. Stir might be my favorite, but Vegetarian Planet is my most worn-out book. I have the paperback edition and it’s falling apart from so much use. Great pastas, soups and Mexican dishes tend to be my focus. I’ve made enough adjustments for the Penne with Red Lentils and Ginger to put my version on this blog, but the original inspiration came from this book. Cooked, by Michael Pollan I got food writer Michael Pollan’s latest book last Christmas, and immediately set to enjoying it. Cooked is organized into sections based on the four basic elements: fire, water, air and earth. In each area, Pollan seeks out experts in preparing food via the method associated with the element, then tries to master the process himself. It’s a great testimonial to the place cooking and eating mindfully can be an important part of a good life. I wrote more about this book in this post. Soup From Williams-Sonoma gets a lot of use once the weather turns cold. It’s a slim book, allowing me to have tested almost every recipe in it! Lots of good ones I keep going back to. A hand-held immersion blender is a nice companion gift to this book. quick from scratch italian cookbook This is a great collection from Food and Wine. I actually just got it myself as a birthday gift and am eager to cook my way through many of the recipes. Of course there is a pasta section, but much more than that. The New Book of Middle Eastern Food by Claudia Roden. I borrowed this from a friend for awhile, and will probably have to get my won copy eventually. Have enjoyed perusing the interesting recipes here, and we really liked the Middle Eastern Chicken with Orzo I made from it. 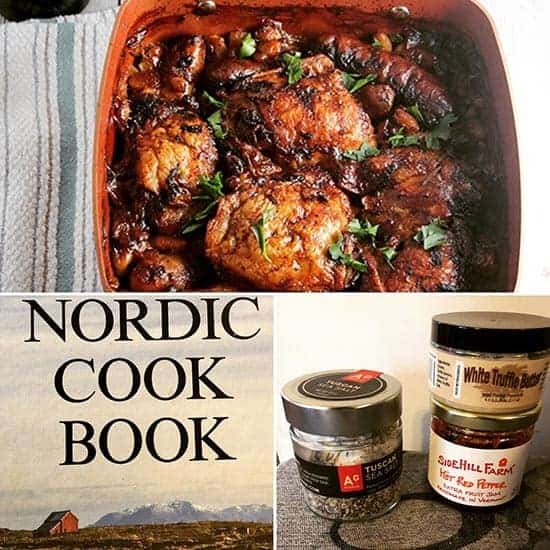 The Nordic Cookbook Chef and author Magnus Nilsson travelled all over Nordic countries interviewing home cooks to get their recipes for the book. We have some Swedish blood in our family but I haven’t cooked many recipes from this area. 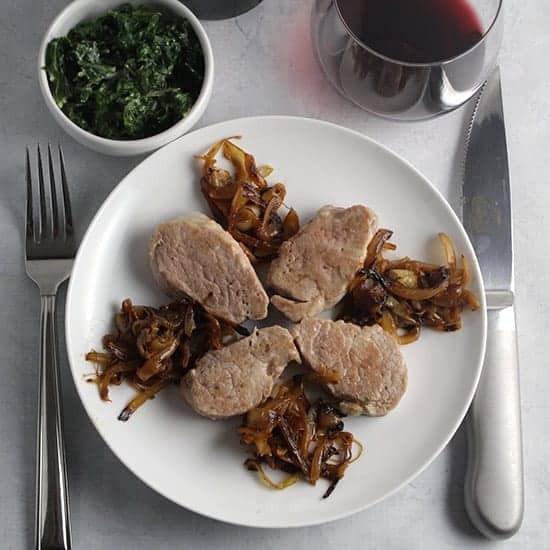 This Pork Tenderloin with Onions recipe shown above is one tasty dish we have cooked from the book. The Flavor Matrix Adding this to my wish list after reading about it in Food & Wine. Delves into science to create some creative food and wine pairings. Roasting Another solid resource from Williams-Sonoma. Added to the list as I was getting ready to use it to roast a leg of lamb! 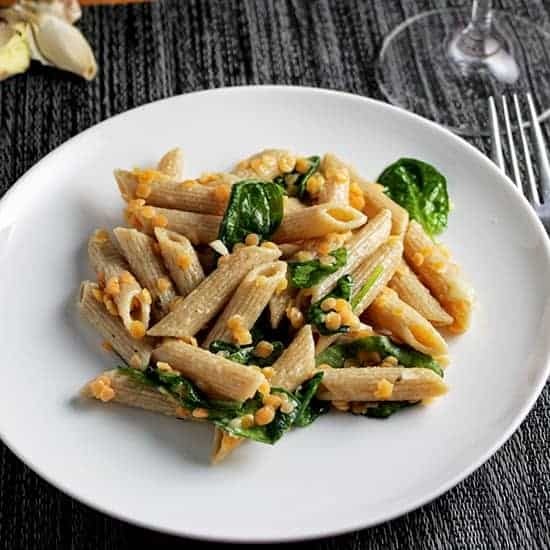 Everyday Pasta by Giada De Laurentiis. You can see I gravitate toward the everyday theme here. I guess when I think in terms of a valuable cookbook, something with practical suggestions for quick but interesting meals I can make on a weeknight are real winners (alas there are more weeknights than weekends!). That said, there are some good recipes in here fit for company, such as Taglietelle with Short Rib Ragu (the chocolate shavings on top are a great conversation starter!). The tools and books I’ve shared are geared to help someone make their own tasty food. Special gourmet food items are also great gifts for foodies. I find it a treat to get a set of interesting mustards from my brother or a special vinegar from my family that I might not splurge on for myself. In this category, I encourage you to seek out some small, local food producers to find great gifts for the foodies on your list. I’ll mention a few of the favorite products I’ve been using lately to give you some thoughts. Ferrari Tuscan Sea Salt This product combines high quality sea salt with a blend of Tuscan herbs, garlic and pepper. I had some sent to me as a sample to make Bistecca alla Fiorentina (Tuscan steak) and I’ve been glad to have plenty left on hand for seasoning meats, salads, etc. Note this Amazon link takes you to a 12 pack of the Tuscan sea salt; a good option if you have a lot of foodies on your list! If you want one or two, check your local specialty food shop. Side Hill Farm Hot Red Pepper JamThis jam is a great dolloped on some cheese, especially brie and other soft cheeses. You don’t need too much to get a lot of flavor! White Truffle Butter I love adding a bit of white truffle butter to pasta and potatoes. I have tried truffle salt, too, but prefer the butter for adding the rich truffle butter. This Amazon link takes you to a variety of options. If you are in the area, I get the Wild Forest Products brand truffle butter at Pairings in Winchester, MA. That wraps up my list of foodie gift ideas. 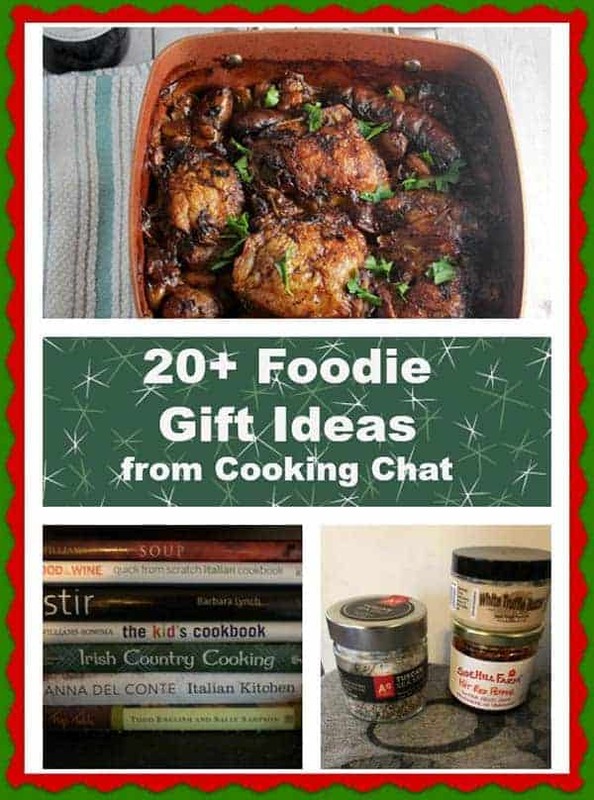 What ideas do you have for great gifts for the foodie on your list? Or perhaps, what is on your wish list? That soup looks AMAZING!! Completely agree…immersion blenders make such smooth soups- no need for cream. And I have the same mats! They make great backgrounds for food photos! Thanks Kelly! Yes, we got a variety of mat colors to try to work with different dishes.